If there's anything we can learn from the recent success of TV shows like Westworld and films like Her, is that we are more fascinated with AI than ever, though not quite in the ways television portrays. Today, the AI we want is AI that lives online and exists to provide us with either direct assistance at work or figures things out by itself behind the scenes. At this point, IOT (Internet of Things) is a given. Hollywood androids are only one of thousands of ways AI can brought to 'life', and we already see AIOT (AI of Things) becoming integrated in our lives in different and exciting ways. According to Gartner, by 2020 85% of customer interaction will occur without a human representative. 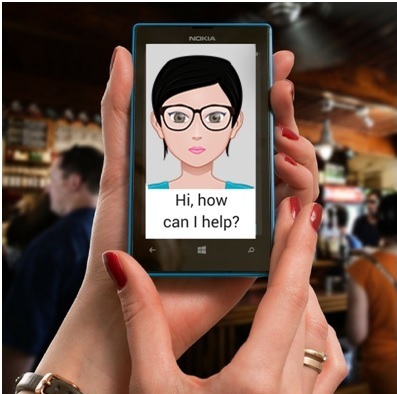 Thus the idea of chatbots and virtual assistants is very appealing for developers of mobile apps, but many are held back by lack of funds and knowledge needed to make these options available. Now this gap in the market is also being filled by tools like wit.ai which is a service that allows anyone to create their own chatbot or virtual assistant. Zuznow's Susie makes it even easier. Zuznow, a mobile app development platform, created Susie the AI as a plug-in that can be integrated as an in-app conversational intelligent assistant for any mobile app within hours (check out their demo with Susie on an online banking app). This sort of innovation can completely change the game for customer service and the user experience. According to Zuznow, Susie can increase user-engagement in an app by 50% or more. As fun as it is to ask Siri to call your mom, she was only the beginning of the scope of things AI personal assistants can do. Today the market is overflowing with increasingly more intelligent AIs, some even eliminating the need for human assistants and secretaries, both at home and on the go. Dashbot brings brings Amazon's Alexa to your car, while x.ai's Amy Ingram can communicate directly with colleagues through email and schedule meetings. Iris AI is a science assistant that makes research simpler by identifying key points in abstracts, organizing concept maps, and findings papers for you. This type of assistant is a huge asset to academics and scientists. According to the creators, the next step is for Iris to become a researcher in her own right - an academic partner. It's easy to forget that artificial intelligence extends beyond a chatbot or assistant that can speak with you. Many apps and products showcase AI that does the work without you even asking. The popular app Prisma - beloved by Instagrammers everywhere - combines your own photos and videos with paintings of famous artists and other visually pleasing patterns to create a new work of art. How does it do it? Rather than overlaying a filter in classic Instagram fashion, Prisma uses artificial intelligence to create a new aesthetically impressive image from your photograph and the filter you select. Taking this idea a step further, the Graava camera uses AI to automatically edit your videos. According to Venture Beat, this little device is incredibly independent, and can record, edit, and even upload video clips by itself. It seems that the age of AI is unstoppable, as the need for increasingly sophisticated user interfaces grows in many industries, from enterprise to finance to photography and so on. In today's competitive environment businesses will have to start integrating this technology more and more in order to stand out from the rest and capture consumers' attention.